The slim design of the NKJV Large Print Deluxe Thinline Reference Bible means you can bring it along, wherever your day takes you. When you open it, you’ll discover the exclusive Thomas Nelson NKJV Comfort Print® typeface in large print, designed to provide a smooth reading experience for more engagement in God’s Word. And with features like a complete reference system, book introductions, a concordance, and full-color maps, you’ll have the tools to get more out of God’s Word without having to pack more. 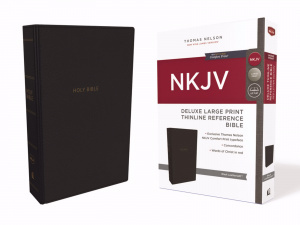 NKJV, Deluxe Thinline Reference Bible, Large Print, Leathersoft, Black, Red Letter Edition, Comfort Print by Thomas Nelson was published by Thomas Nelson in June 2018 and is our 49335th best seller. The ISBN for NKJV, Deluxe Thinline Reference Bible, Large Print, Leathersoft, Black, Red Letter Edition, Comfort Print is 9780785217978. 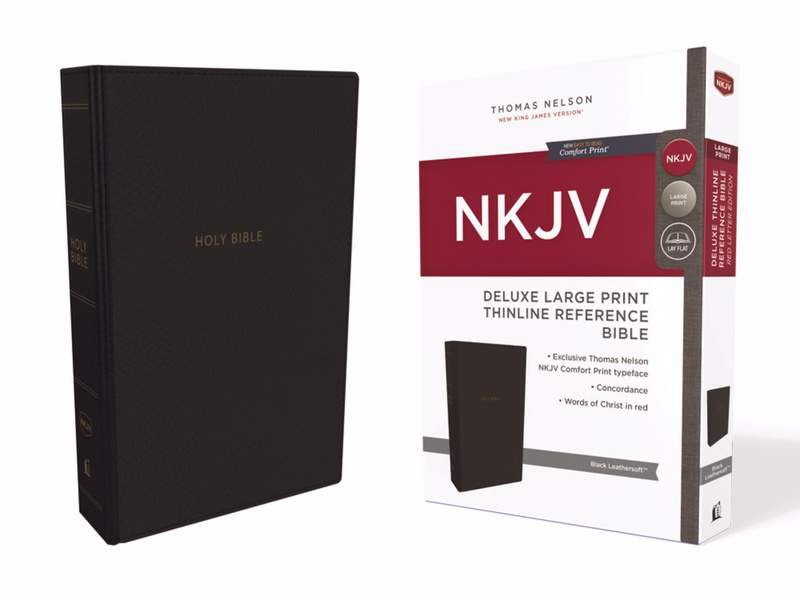 Be the first to review NKJV, Deluxe Thinline Reference Bible, Large Print, Leathersoft, Black, Red Letter Edition, Comfort Print! Got a question? No problem! Just click here to ask us about NKJV, Deluxe Thinline Reference Bible, Large Print, Leathersoft, Black, Red Letter Edition, Comfort Print.